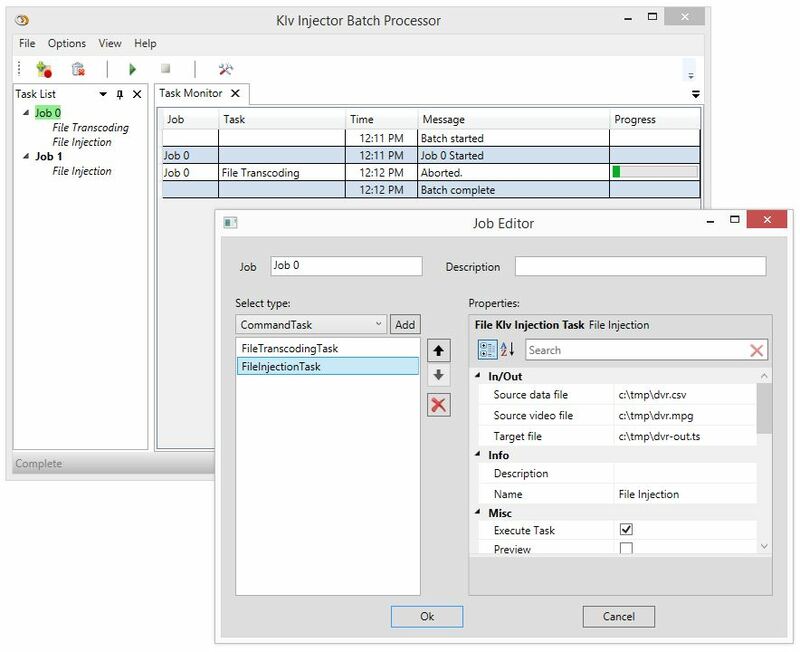 KLV Injector Batch is a powerful, yet easy to use video and telemetry processing tool for batch video assets preparation and metadata insertion into Intelligence, Surveillance and Reconnaissance (ISR) Imagery. This tool performs offline batch processing of the video and metadata files and generation of the STANAG 4609 compliant files. KLV Injector Batch is used for offline STANAG files generation by combining a FMV with an external sensors data. MISB 0601.8 KLV telemetry insertion into MPEG files. Video assets preparation - format / bitrate / resolution transcoding and scaling. Template packets - metadata addition / correction / filtering. Flexible external batch command processing. Fast (silent) processing or preview.